PERFECT CHOCOLATE GANACHE — This smooth, rich chocolate ganache is the perfect topping for so many decadent desserts. And it’s surprisingly easy to make! 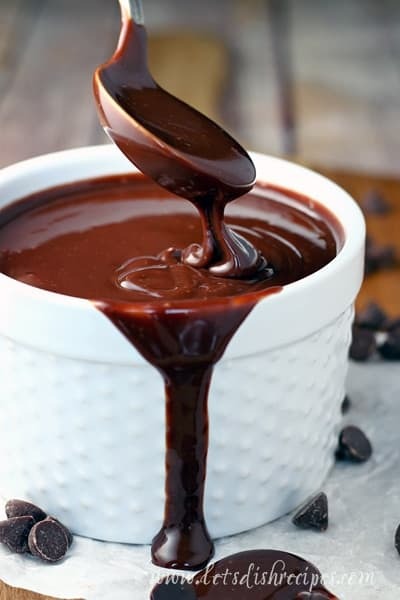 If you’ve ever tried chocolate ganache, you know how fabulously rich and creamy it is. 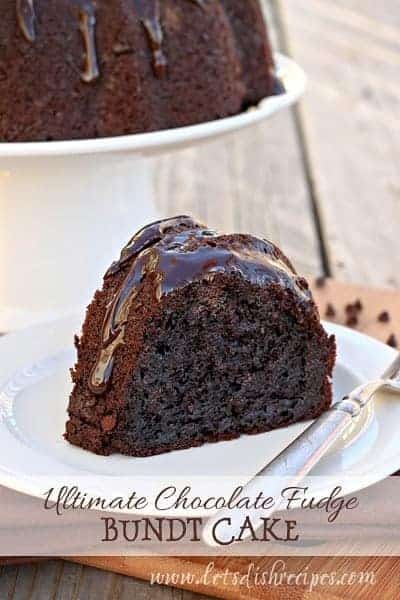 Kind of like a cross between hot fudge and truffle filling. And actually, you could use it for both, depending on how thick you choose to make it. 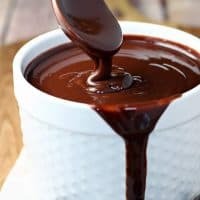 Chocolate ganache is such a versatile chocolate topping and filling that’s it’s worth knowing how to make. Chocolate ganache is most often used as a topping, like in my Decadent Brownie Pie recipe. But I certainly won’t blame you if you choose to eat it straight from the bowl with a spoon. A typical ganache recipe, which is perfect as a thick glaze or layer cake filling, uses equal parts chocolate and cream. If you want to make a thicker, truffle-like filling, use 2 parts chocolate to one part cream. And if you’re looking for a thinner, more pourable glaze, use 1 part chocolate to 2 parts cream. This version is perfect as a hot fudge-style topping for ice cream. You want to make sure your cream is hot enough to melt your chocolate. I usually heat mine until it just starts to simmer. This will happen more quickly and easily if your chocolate is well chopped. I often use chocolate chips to make ganache. I wouldn’t recommend using chocolate pieces much bigger than that. But even larger chunks of chocolate would probably melt eventually. The point is, this recipe is pretty hard to mess up. It’s super simple, uses few ingredients, and is something everyone should learn how to make! 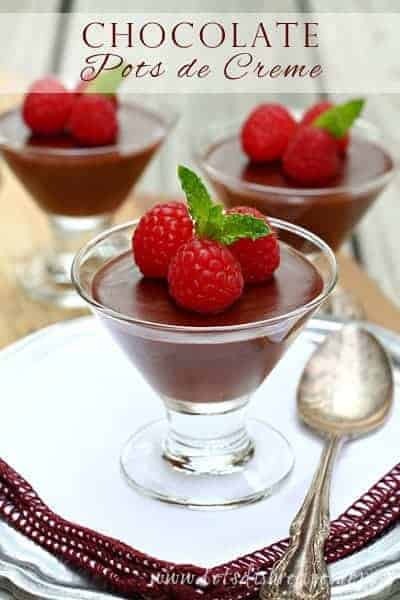 Be sure to save this Perfect Chocolate Ganache recipe to your favorite Pinterest board for later. In a small saucepan, bring cream to a simmer and bubbles are just starting to form around the edges of the pan. Remove from the heat; whisk in chocolate until smooth and shiny. Cool to room temperature. Store at room temperature for up to 2 days, or in the refrigerator for up to 3 weeks. Bring to room temperature before using. 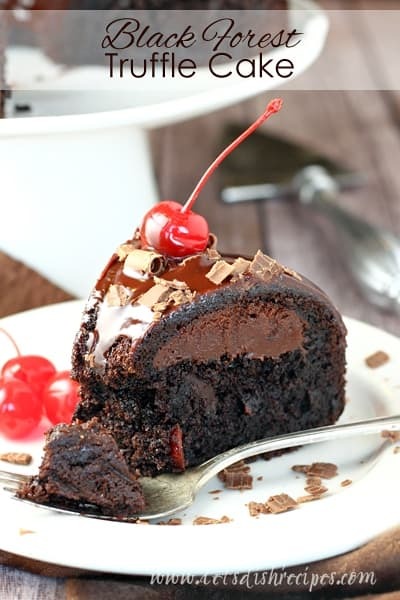 For truffle filling, double the chocolate. For a pourable glaze, double the cream. I made this today and loved it! Super simple! I bought regular whipping cream (not heavy). Do you think it will still be ok? Or should I go back to store?